The Hidalgo County Sheriff’s Office confirmed Tuesday it is investigating additional child sexual abuse cases involving a former charter school bus driver. Deputies arrested Jose Luis Garza, 59, last Friday and he has since been arraigned on three counts of continuous sexual abuse of a young child, a first-degree felony carrying a sentence of up to life in prison if convicted. Garza was employed as a school bus driver at IDEA Mission North until April 23 when he was terminated, according to IDEA Public Schools. The district previously placed him on administrative leave within 24 hours of a “very brave student and her mother” reporting to the campus principal that Garza had touched her inappropriately as she walked down the bus aisle, said IDEA Public Schools CEO Tom Torkelson. 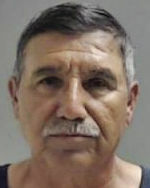 The three counts on which Garza was arrested are tied to a 5-year-old and two 8-year-old students, all of whom are female and who alleged to Child Advocacy Center staff and a Sexual Assault Nurse Examiner during the course of the sheriff’s investigation that he sexually assaulted them with his fingers over a period spanning from August 2017 to May of this year. As part of its internal investigation following the first student’s outcry of sexual abuse, IDEA Mission North administrators spoke with students who rode Garza’s bus and scheduled meetings with their parents, Torkelson said. “As soon as we got enough information that clearly something happened and there was a lot of corroboration from one witness to another, we let the authorities know,” Torkelson said, adding that the district reached out to the sheriff’s office, the Mission Police Department and Child Protective Services. IDEA hired an independent outside investigator to lead their internal investigation “on what happened and making sure our response continues to be appropriate,” Torkelson said. “I think it’s really important to figure out precisely what happened and anything that we do moving forward … you have to ask yourself if we had this in place, would it have deterred or provided evidence to have stopper this sooner,” he said. IDEA Mission North serves students in kindergarten through fourth grade and sixth to eighth grade, and Garza was one of nearly a dozen bus drivers. He remains in custody at the Hidalgo County Adult Detention Center on a $320,000 bond. The investigation into Garza is “ongoing … with additional charges to follow,” according to an HCSO news release. Criminal complaints tied to his arrest identified a total of six victims aged 5 to 9 years old, but Garza has only been arraigned on three counts of continuous sexual abuse of a young child. Anyone with information regarding the investigation is asked to contact the sheriff’s criminal investigations division at (956) 973-7880 or its east substation at (956) 973-7880.